When one mentions a science park, what images come to mind? Science parks used to embody the glamour to which people aspired: a beacon of technology and innovation, or a symbol of massive profits. According to Taiwan’s Business Weekly, the turnover in the first half of 2010 for Taiwan’s three major science parks, - Hsinchu Science Park, Central Science Park (CSP) and Southern Taiwan Science Park, topped 1.05 trillion New Taiwan dollars (NT$1,052,100,000,000 or over 30 billion USD). The parks employ more than two hundred thousand people. This sounds like the perfect situation, but how does the reality stack up? Taiwan has a serious surplus of science parks. According to the National Audit Office (2009 Central Government Accounts Audit Report and 2010 Central Government Accounts Audit Report), as of 2010, 20.99% of the land in the Science Parks was idle, while 23.3% of the total factory space was idle (40% in the Central Taiwan Science Park). How do the Science Parks obtain land? Both Phases 3 and 4 of the CSP followed their predecessors in forced expropriation of agricultural land, displacing local farmers, depriving them off their livelihood. The government first borrows funds to expropriate the agricultural land at artificially (government mandated) low prices and then leases the property to companies at highly discounted rates. Companies are given electricity and water far below market and receive a five year tax holiday. Thus, these science parks are little more than blood-letting developments, with the Taiwan tax payers shouldering the loss of more than one hundred and twenty billion NT$ (approximately four billion USD), courtesy of parks’ proponent and developer, the cabinet level National Science Council. The site selection of the Central Taiwan Science Park Phases 3 and 4 were also poor choices by any measure. One builds a house according to a plan and doesn’t place a toilet bowl in the middle of the kitchen. Long before the Phase 3 CSP at Houli and Cising were submitted for environmental impact assessments, the government regional planning authorities had earmarked the areas as “high-quality living area” requiring “protection of agricultural land and marine resources, while providing sustainable development of agriculture, aquaculture and living environment”. Nevertheless, the government insisted on locating highly polluting, energy-intensive industries in the area. 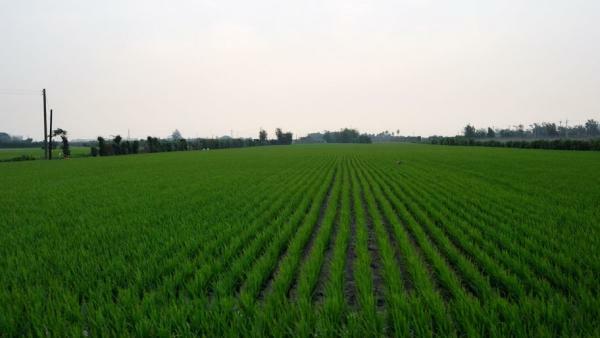 Changhua’s Erlin is also the heart of central Taiwan’s key agricultural production region, and despite serious water shortages and land subsidence, the government went ahead with its decision to locate the science park. Two lawyers and other members of Wild at Heart Legal Defense Association were part of a team of local farmers, fellow environmental organizations and environmental lawyers that has been pursuing the lawsuits associated with the Central Taiwan Science Park Phase 3 and Phase 4 since the summer of 2006. These lawsuits are significant for Taiwan’s environmental movement, and pivotal in the development of Taiwan’s law and democracy. This was not merely because the Environmental Assessment Impact (EIA) of CSP Phase 3 was the first EIA in Taiwanese history to be overturned by the court, but also because the development permit for CSP Phase 4 was the first development permit in the nation’s history to be revoked by the court. Perhaps more significantly, after Taiwan’s EPA and premier announced that the operations in the parks could continue despite the court’s decisions, the litigation process can be said to have revealed the Executive Yuan’s (cabinet) contempt and disregard of the judiciary. The perseverance of the local farmers and environmental groups, through litigation, organizing and other actions, brought to light the Phase 3 and 4 controversies, such as the excessively large amounts of idle space, land speculation, unjustified land acquisition, operation under debt, and high-technology pollution. Unquestioned development costs now became areas of concern and discussion. The cases also underscored the need for courts to take more responsibility for monitoring the executive branch and to the need for more attention to ensuring the proper functioning of checks and balance mechanisms. Organized opposition to Science Parks has been a valuable lesson and will no doubt contribute to the invigoration of Taiwan’s civil society.